How many miles can you drive on empty before getting stranded? Running out of fuel is a cause for thousands of road rescues every year. Playing the game of ‘how far can I go before I have to fill up my tank?’ has left many a motorist stranded and confused at the side of the road. Surely once the little petrol light comes on, you’ve got a decent amount of mileage left, right? Read on and we’ll show you just how far you can go, and what you can do to improve your fuel economy. Most motorists are concerned about traffic jams and getting lost, rather than running out of fuel. 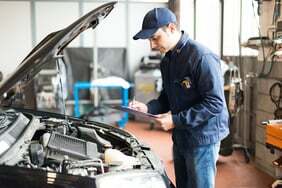 A common belief is that a car can go for roughly 40-50 miles after the light goes on, but that can be quite tricky to track. So, can you trust the fuel gauge on your dash? The distance you can drive before you run out of fuel will depend on the road conditions and your driving habits. The approximate range on the fuel gauge – if you have it – is usually based on average miles driven. So it may not be very accurate considering your current driving conditions. As the fuel level gets low the car will start picking up debris from the bottom of the tank. 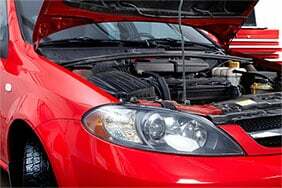 This can damage both the fuel filter and pump. The catalytic converter can also be damaged. 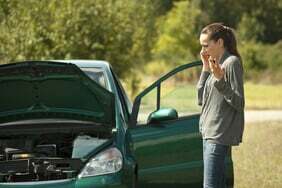 Running out of petrol can cause the fuel pump to run dry, which could mean a garage bill of up to £200. With diesel cars, the engine management system shuts down before you run out of fuel. This prevents damage to the vehicle. But with petrol cars there's no system like this in place. Getting stranded is another concern which should be taken seriously. You might be on the motorway with cars whizzing past you at high speed. This creates a dangerous situation, especially if you’ve broken down after a bend in the road. 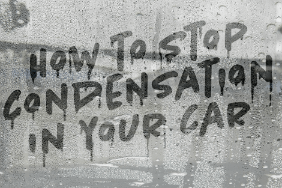 Roll up your windows to reduce wind resistance. Drive at around 40mph – the most fuel-efficient speed (provided this is within the speed limit). Drive with a light foot and maintain constant speed. Turn off all electronic accessories, and unplug any charging phones. 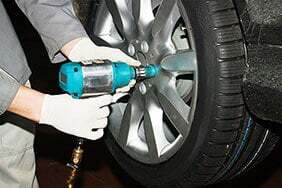 Check your tyre pressure - under-inflated tyres can increase fuel consumption. 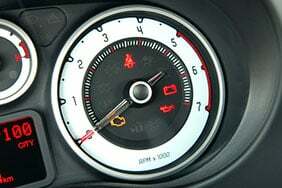 How far can you drive with the warning light on? 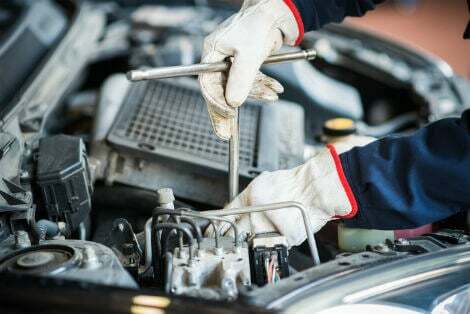 "There's no statutory amount that should be left in the tank before the warning light comes on," says Matthew Minter from motor manual publisher Haynes. While 50 miles seems to be what most drivers believe the average range is, in reality it varies significantly across different makes and models. It’s best to get in the habit of thinking of the low-fuel light as a final warning, rather than driving around with it on. Disclaimer: All fuel data is based on real-life information submitted by independent drivers on TankOnEmpty.com.